Numbers don’t lie. We have maintained the highest rating profile in the precious metal industry for 9 years in a row. You can relax knowing that you are working with the most trusted company in the business. The first step is for you to fill out our online form by clicking here. It will only take you a few minutes! Within 24 hours our Regal IRA™ team will get in touch with you to help guide you through the process of moving your funds and to ask for any additional information if needed. We will work with your custodian to transfer funds from any of your existing accounts into your newly formed Regal IRA™ Account. As soon as the funds are received, we will fulfill your order based on the type of metals or cryptos you are interested in! As a first time buyer, Christian did an excellent job on guiding me through the process of purchasing precious metals. Thanks again Christian . Regal has been very responsive to my needs and worked very closely with my IRA account manager. Christin always returns my calls. Just wanted to take a minute to let everyone know my experience at Regal Assets was a good one. This is the third time I have used their service and each time they ensure I understood the process. They made the whole process easy and I will be dealing with them again. Trading crypto-currencies is new for me. Christian provided very helpful service to accomplish what needed to be done.. He was very patient and never tried to push me before I was ready. I'm very happy to be working with him. Regal is great and very responsive. KC was the reason I went with Regal Assets. There are other companies offer the same service. She went above and beyond to assist and follow up with any issues and questions I posed. I look forward to my retirement and having regal assets on my side; I feel more secure. Thank you KC and team. Y'all did a wonderful job. I never thought I would need to purchase gold and silver. These are the times we live in where certain financial decisions are almost forced on you. 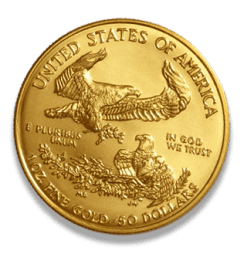 Being a complete newbie to buying physical gold and silver was a challenge for me. This is where KC became invaluable to me helping to guide me through the process of rolling over a partial IRA to Regal. After that process KC gave some valuable insight on the ratio of gold to silver and suggested an awesome approach to the actual choice of coins to purchase. I couldn’t be more grateful and every day I feel more positive about the decision to move to a physical precious metal wealth protection strategy. WHY ARE INVESTORS DIVERSIFYING THEIR PORTFOLIO? Experts agree that the financial is now even more fragile than pre-2008. Will your retirement portfolio weather the imminent financial crisis? Threats are many. Pick your poison..
Student debt, which has been on a steep rise for years, could figure greatly in the next credit downturn. "There are parallels to 2008: There are massive amounts of unaffordable loans being made to people who can't pay them"
The financial system would be in great peril if one or more big banks fail. "When we get to a downturn, banks won't have the cushion to absorb the losses. Without a cushion, we will have 2008 and 2009 again." Total household debt rose to an all-time high of $13.15 trillion at year-end 2017. "Any type of secured lending backed by an asset that is overvalued should be a concern... that is what happened with housing." The US national debt has spiked $1 trillion in less than 6 months! "If we keep throwing gas on flames with deficit spending, I worry about how severe the next [economic] downturn is going to be--and whether we have enough bullets left [to fight it],"
Source: "Wall Street Journal March 2018 Edition"
Is Gold Really Useful in Times of Crisis? You may wonder why investors worldwide are flocking to digital currencies (also known as cryptocurrencies or cryptos)? Take a look at this chart showing the growth of a 10K portfolio invested in cryptos.